KUALA LUMPUR: MyHSR Corporation Sdn Bhd has completed its three-month public inspection exercise for the Kuala Lumpur-Singapore High Speed Railway (KL-S'pore HSR) project. In a statement today, MyHSR Corp said the public inspection that ended on Jan 31, 2018, received more than 35,000 responses, the highest number of public feedback among rail-based public transportation projects in Malaysia. It provided the public with the opportunity to view information about the KL-SG HSR project, such as the planned alignment, locations of the seven Malaysian HSR stations, typical station features and layout, and related socioeconomic development at the booths. Approximately 95 percent of public feedback received from visitors and survey respondents were supportive of the KL-SG HSR project, with an overwhelming 98 per cent of positive response received from Kuala Lumpur and Johor. 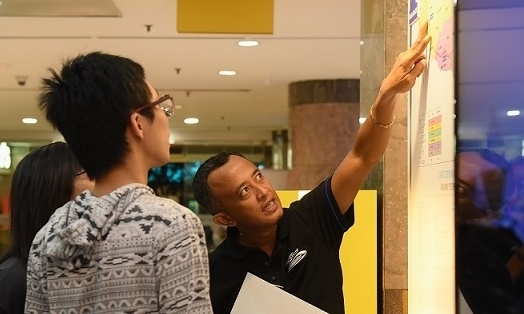 Over 130 booths were set up at key locations along the alignment between Kuala Lumpur and Iskandar Puteri, said MyHSR Corp.
“By locating them in high-traffic areas, our team on site were able to gather pertinent insights on how to further improve the project. It is also our goal to continuously engage the public to share updates on the project,” said MyHSR Corp CEO Mohd Nur Ismal Mohamed Kamal. The KL-SG HSR’s Environmental Impact study was also showcased at the Public Inspection booths for its one-month compulsory display from Dec 27, 2017 to Jan 25 this year, and is available for review and feedback on MyHSR Corp’s website until Feb 9.